Beelink M1 mini PC comes with chipset Intel N3450 CPU. It will provide you a smooth experience when watching videos or playing games. Support the fast and powerful Win10 operation system. Support multiple connections such as Ethernet 1000Mbps, standard RJ45, Bluetooth 4.0 and 2.4 / 5.8GHz WiFi. It is the best choice for your family entertainment, you can have your family members play games or watch TV shows together. 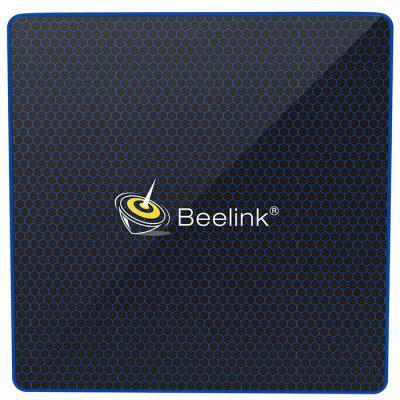 Want to be notified when the Beelink M1 6GB RAM 64GB ROM Intel Mini PC gets even cheaper? Make sure you snag the best price by entering your email below. We'll email you when the price drops, free! We're tracking the price of the Beelink M1 6GB RAM 64GB ROM Intel Mini PC every day so you know if that deal is really a steal! Check back for to check the best price for this product - and whether its current sale price is really the cheapest it's been! No Beelink M1 6GB RAM 64GB ROM Intel Mini PC coupons found!